Water Exploration uses a project-based learning approach, permitting students to conduct research and build an understanding about water science and critical water-related issues. All learning activities and resources are packaged into three modules, or Legacy Cycles, in a way that enhances student learning by making use of the Internet and computer technology to promote inquiry learning. 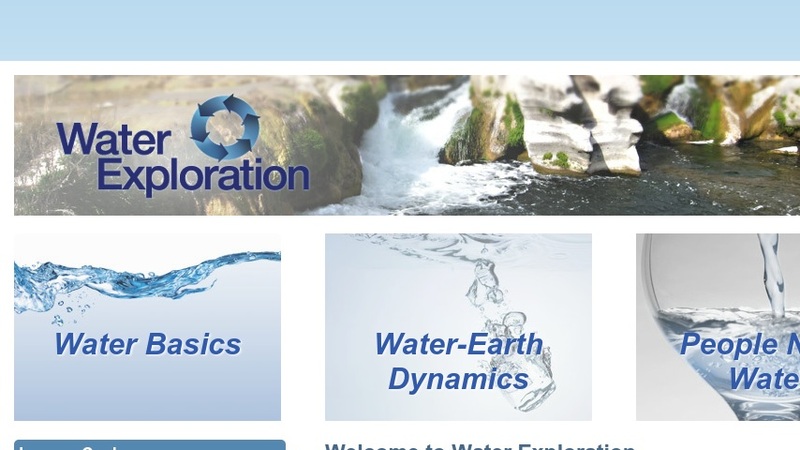 The Earth Science Literacy Principles provide the organizing framework for the lessons and activities in each Water Exploration Legacy Cycle. The curriculum is applicable to high school science courses such as Earth and Space Science, Advanced Placement Environmental Science, Biology, Chemistry, and Aquatic Science.